Scale Scaled for 00 railways. Description First issued in 1949 at 1/-d. This model card is much larger with more elaborate artwork than the previous J1–J7 vehicles. The cards J8 and J9 are designed to fold on two places, unlike cards J1 – J7 who are designed only to fold down the middle. Side, front and rear elevations of the complete bus are included. 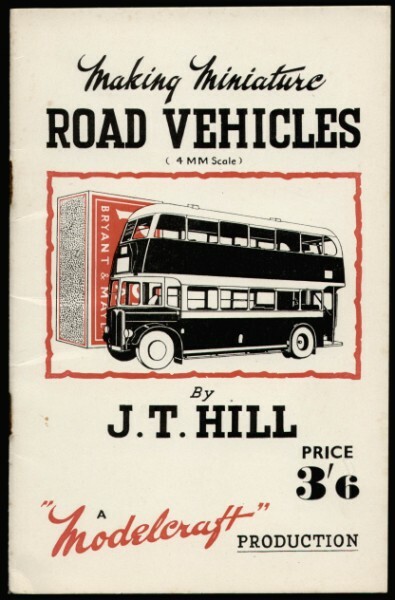 The design of this card model closely follows the plan E110 in the Modelcraft “Making Miniature Road Vehicles/Lineside Lorries” Plan Series drawn by J. T. Hill in the mid to late 1940s. This is a very rare card model.